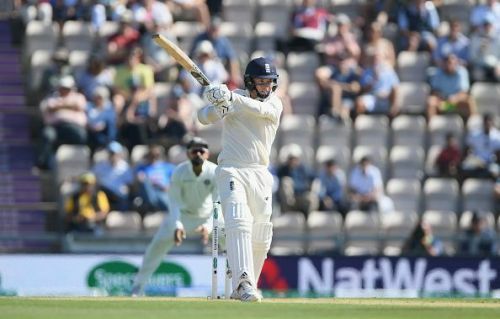 India'a never abating batting woes on the overseas tour continued to haunt them in Southampton as they yet again floundered in the fourth innings. If it was the pace attack which was the wrecker-in-chief in the first two Tests, it was spin this time around. Chasing a target of 245 runs, Indian batsmen could only manage 184 runs and conceded the series to the Englishmen. It was a repeat of 2014 when Moeen Ali had run through the Indian batting with his gentle off-break. Moeen Ali bowled beautifully again on a track assisting spin and accounted for nine dismissals in the match. It is a time for introspection for the team as this was the third time in a row in the recent past when they had faltered in chasing in the fourth innings. This defeat also means that India has lost their second overseas Test series in a row. It would be a good time to reflect upon the reasons for India's defeat. Joe Root won the toss and elected to bat first. Indian pace trio tormented the English batsmen and soon they were 84/6. It looked as if they would be bowled out under 150. Sam Curran came to the rescue again and with some assistance from the tail took the attack to the Indians. Indian bowlers yet again struggled to take the last 4 wickets which proved too costly for them in the end. Ashwin failed to impress on a dry pitch which offered some turn. England managed to put forth a respectable total of 245 runs in the first innings.